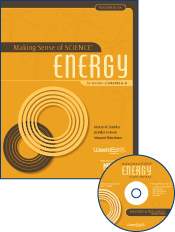 The materials presented in this book help teachers gain a solid understanding of tough science concepts and common misconceptions, support productive and worthwhile professional learning communities, and prepare teachers to implement standards-based science curriculum. Topics are central to the Next Generation Science Framework and aligned with the Common Core State Standards in literacy. Teacher Courses offer five days of engaging and worthwhile learning that help teachers implement science and literacy standards and have been proven to boost student achievement in science.